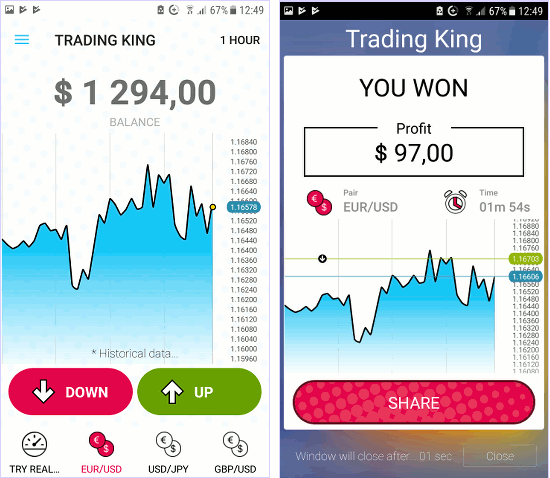 If you want to succeed in currency trading and foreign exchanges, these apps for Android enable you to practise and build your skills and knowledge without risk of losing any money. It can be hard to ignore the ups and downs of the price of Bitcoin and its meteoric rise has made many early investors rich, but you have to feel sorry for those that invested at its peak of nearly $20,000 only to see its value plunge to $6,000. It has recovered a little to around $8,000, but it is still a long way off its best price. Could Bitcoin take off again and increase in value? Will it fall even further? People will speculate either way and gamble real money on the direction the currency will go. The massive gains that some people made might tempt you to try investing some of your own money in cryptocurrencies and real currencies like the US Dollar, Euro and GB Pound, but it is very risky. You could double your investment in weeks or lose it all. It is a gamble. 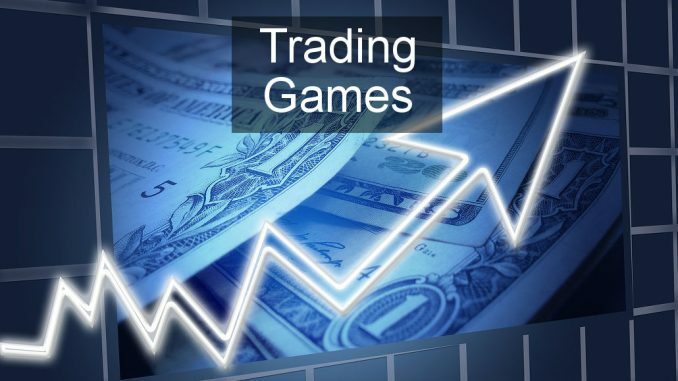 Knowing when to buy and when to sell, whether it is currency or shares, is clearly important, but instead of diving in as a complete novice with your own hard earned real money, you should build your skills using games. Specifically, games that involve risk. Here are some apps for your Android phone that enable you to practise investing in currencies and to gain experience in a safe way. Trader Tycoon installs as Trading King and it is a very simple app. The home screen shows the ever changing price of one of three currency pairs Euro vs US Dollar, US Dollar vs Japanese Yen, and GB Pound vs US Dollar. The chart shows the ups and downs of the exchange rate and can show a range from the last five seconds to the last day. All you have to do is tap DOWN or UP to try to guess which why the price will go. The game start you off with $1,000 and you win or lose the difference between the price when you tapped DOWN or UP and when you tap STOP. You can let it run for as long as you want, from seconds to minutes or hours. I made a profit of $97 in under two minutes. It is unlikely to be that easy in real life and a quick win like this is not an indication of a trend. You should run this app for a month and see how much you win or lose over a long period of time. The game uses pretend money so nothing is won or lost and it is simply for fun and for learning. However, there are links in the app to get a real trading app that uses real money, so don’t get carried away after half an hour with the app and think you can make it big in investing. Trader Tycoon uses real market data and when the real markets are closed, it uses historical data so you can play at any time. It is such a simple app, yet fascinating and addictive at the same time. How much can you make? 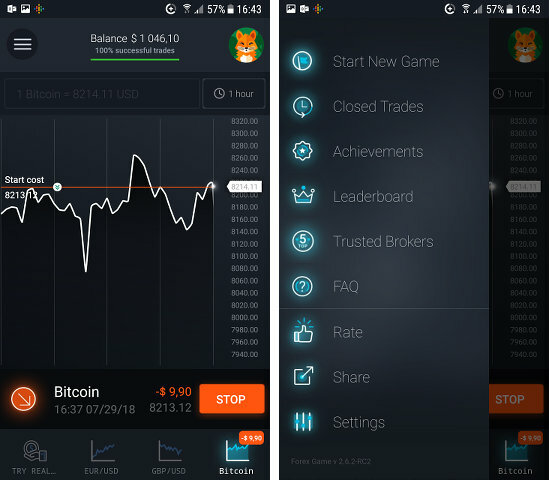 Forex Game is almost identical to the previous app, except that it lets you play with Bitcoin in addition to normal currencies. Almost everything said about Trader Tycoon applies to this one. You play with $1,000 of pretend money and try to guess whether Bitcoin or the selected currencies will go up or down. You can start and stop at any time and cash in your gains or stop the losses. The app uses real market data when the markets are open and historical data when they are not and so it gives you a valuable lesson in investing. You can (pretend) buy Bitcoin, see if it goes up or down and whether you would make or lose money. The app has links to real trading apps, so don’t get carried away and invest real money until you can show a good profit in the game.